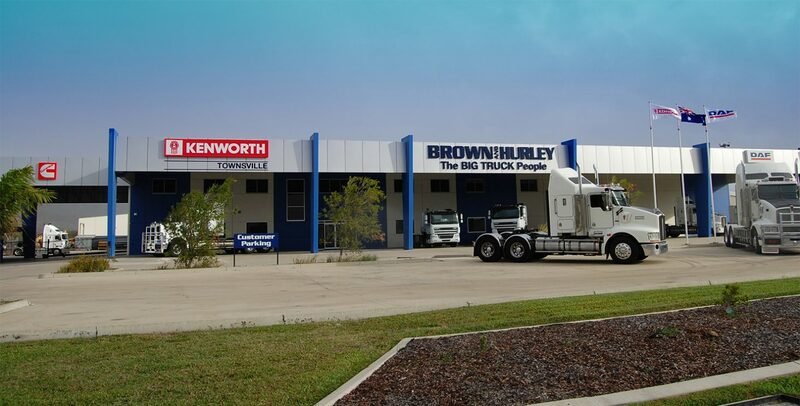 This month we feature the Brown and Hurley Kenworth DAF Townsville dealership, servicing both the Northern area encompassing Cairns & the Tableland region, & also the Western corridor to Mount Isa. We chat with Dealer Principal Tony Burton. What makes this dealership stand out is the consistency of many long-term staff members working for a family company. Tony says “we have a fantastic group of staff , hardworking & dedicated to customer Service”. Home in my recliner watching Friday night football with a bottle of wine & the TV remote. The tough & durable T659 has been one of the best selling products in our region, through Evolution of design rather than Revolution, it has withstood harsh conditions better than any other. After completing a Diesel Fitting Apprenticeship I was fortunate to gain a role as a trainee Salesman @ Brown & Hurley Townsville, 32 years later I count myself very lucky to be given that opportunity. I really cant imagine doing anything else, if i was any good at Golf, maybe playing Golf for a living. Len Roberts when I first started out, i was in awe of his work ethic, dedication & patience. I was very fortunate also to spend a lot of time travelling around our region with Jim Hurley. Jim never let a Sales opportunity pass by & is extremely customer focused. He didn’t tell a bad yarn either. Without a doubt my current role, Dealer Principal of Brown & Hurley Townsville. We are very fortunate to share long-term partnerships with many of our customers. We have grown as their business & family has grown, our Business Partnership includes the next Generation, resulting in lifelong friendships. The transport industry has become increasingly professional embracing changes in compliance, regulation & technology. The Australian Transport Industry is extremely efficient by any measure. The group that front our transport companies are one of the most hard-working genuine people you could have the fortune of working with, we are certainly privileged to have many friends in this industry. Thanks for the chat Tony!